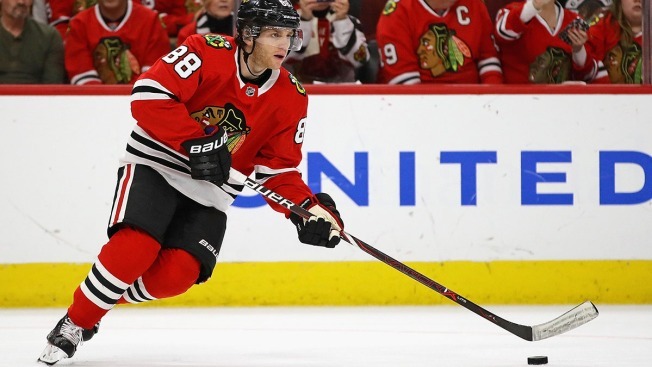 Chicago Blackhawks winger Patrick Kane has been instrumental in the team’s recent surge of good play, and on Thursday his passing ability helped him set a remarkable team record. Kane, who had a goal and two assists in the game, now has a point in 16 consecutive games, the longest active point streak in the NHL. Kane also has an assist in 15 straight games, which set a new Blackhawks record. Kane’s assist on Drake Caggiula’s goal in the second period moved him past the 14-game streak that Blackhawks legend Stan Mikita put together during the 1967 season. 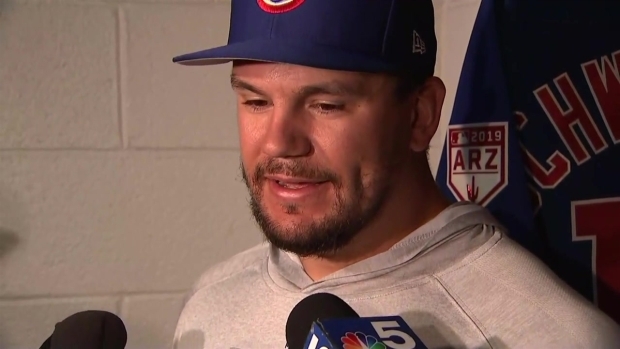 The Cubs aren't buying into the "gloom and doom" attitude after a projection had them finishing in last place in the division, Kyle Schwarber says. Mikita’s daughter texted Blackhawks broadcaster Troy Murray during the game to ask him to congratulate Kane on the remarkable achievement, according to the Blackhawks’ Twitter feed. Kane will look to continue his point streak on Saturday night when the Blackhawks take on the Columbus Blue Jackets at the United Center. Puck drop is scheduled for 7:30 p.m.